Eat your calories, don't drink them. That's the idea that inspired two businesswomen to create a delicious low-calorie wine. A Palm Beach businesswoman and an international winemaker set out on an unexpected quest. Virginia Philip had the idea after several customers strolled into her Clematis Street wine shop in search of the same thing. "People were asking for lower alcohol and lower calorie wines,” said Philip. "I thought hmmm...I know local-cal wine concept on the market. I think we can do better." She is a master sommelier, a prestigious title and accreditation that only 24 women have attained. Philip is choosy about the wines she puts on her shelves, ranging from $10 to $10,000 a bottle, so she would be extra choosy about a business partner. "I met Gudrun (Cuillo) here at the shop. She did a class for Livernano and Casalvento and it sold out in two to three weeks. She did an amazing job, outgoing, knowledgeable and very smart." The next time she was in Tuscany, Philip stopped by Gudrun's Livernano and Casalvento vineyards. "I spent a few hours with her, looked around and thought, hmmm this might be it," said Philip. She rolled out her low-cal idea to Cuillo, who with her husband, Bob, had purchased land, built this five-star hotel years ago and together. They had grown an award-winning wine business. 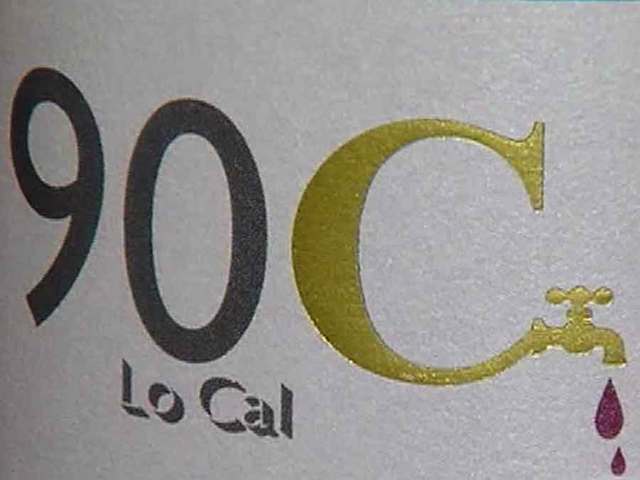 At first, the Cuillo had no interest in low-cal wine, but they soon reconsidered. Cuillo and Philip put their heads together, became fast friends and rolled out the new 90C brand, which stands for 90 calories. "We said from the beginning, if it doesn't taste great, we won't do it," said Philip. But they pulled it off -- a daring feat in the competitive marketplace of wines. So far 90C has been well received. "It's a little questionable sometimes with the whole, 'What is 90 C?' But once they taste the quality of what's in that bottle, it's a true hit," said Cuillo. "These are grapes that are hand harvested, estate owned winery, grapes everyone knows -- Chardonnay, Merlot and Sangiovese -- and we knew we could do a better job," said Philip. This powerful female pairing from Palm Beach County has done just that. 90C hit store shelves a few months ago. You can get it at all Crown Liquor stores, and through Philip's website .